Fort Point Boston Blog: Why Is Moakley Park Important To Fort Point & The Seaport? 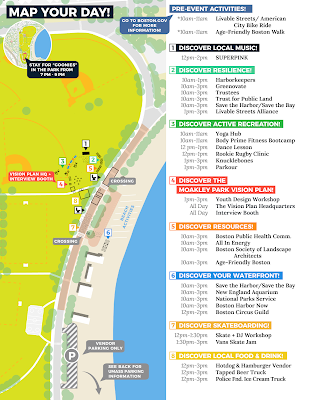 Why Is Moakley Park Important To Fort Point & The Seaport? Enjoy a fun day complete with food, beach games, skateboarding, a movie, plus a climate resiliency installation. 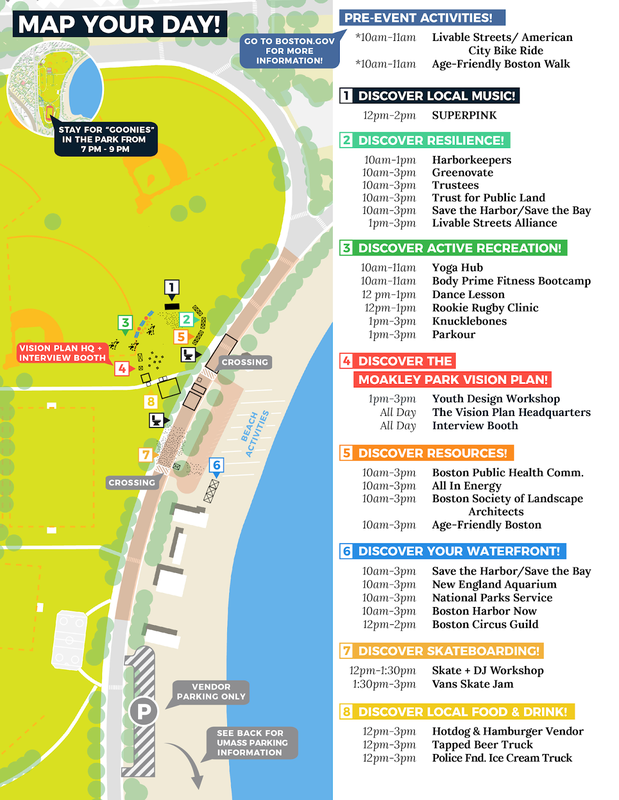 Be part of the creation of the new Moakley Park vision, Take a moment to ponder how these strategies could be applied to protect the Harborwalk and to enhance current and future open green space in the Seaport and Fort Point. This free event is a part of Climate Preparedness Week September 24 – September 30, 2018.